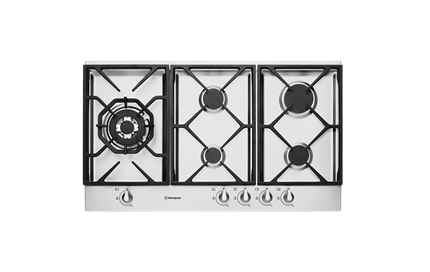 90cm stainless steel gas cooktop is rated 4.4 out of 5 by 21. 895W x 530D x 44H(mm) ? 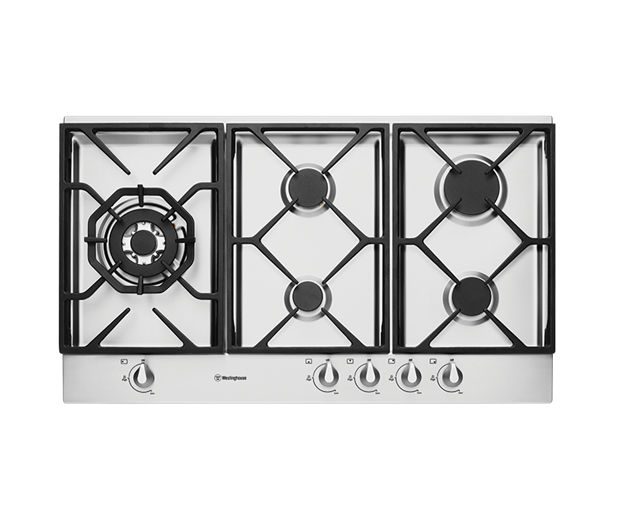 90cm stainless steel gas cooktop with FamilySafe (TM) trivets, easy ignite under knob ignition and FamilySafe (TM) flame failure device. Rated 4 out of 5 by Darls from Lots of room for all your pots I bought this in January 2017 because my 17 year old 4 burner gas cooktop was on its last legs. Love having the 5 burners. My daughter and I can cook different meals together without needing to constantly juggle the pots. It looks very stylish but I do find the cast iron trivets much heavier to move than my last cooktop. 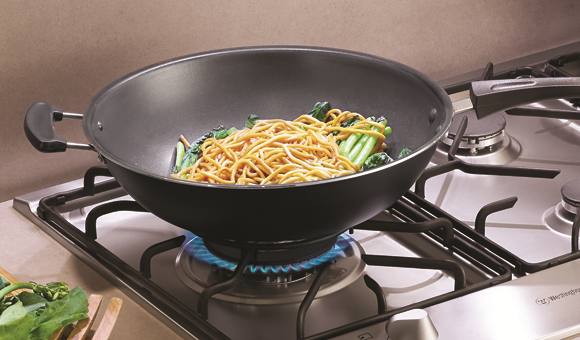 The wok burner is great and has everything boiling in no time but the other burners seem to be at half-strength even when on the highest setting. Having said that, I'm very happy with this product and would recommend it. Rated 3 out of 5 by granJ from i bought this 6 weeks ago and it has all the features advertised. My cooktop is installed in a bench with a splashback behind. I have found that when using a large frypan on the large back burner that the heat generated scorched the ridge of my corian splashback so I have had to install a stainless steel cover (this would not be a problem with an island bench). I would prefer the large burner to be situated at the front . Also i had a problem being able to down the gas enough to just get a simmer -- the jets have now been adjusted but sometimes i would like to be able to reduce the heat even more. Rated 5 out of 5 by Wilkiwend from WORTH WAITING FOR! I bought this gas cooktop a month or so ago & am delighted with it! Great value for money & very heavy duty. Rated 4 out of 5 by Pradeep from Good quality cooktop Bought a month ago. We connected to LPG bottled gas encountered an issue where knobs won't simmer the flame but Westinghouse tech came and adjusted it promptly (something to do with lpg regulator). Cast iron trivets are quite stable. Overall good product. Knobs are placed at good position as well. Rated 5 out of 5 by mg1975 from Well designed Unit for a Family Kitchen Purchased this as part of a Kitchen remodel. 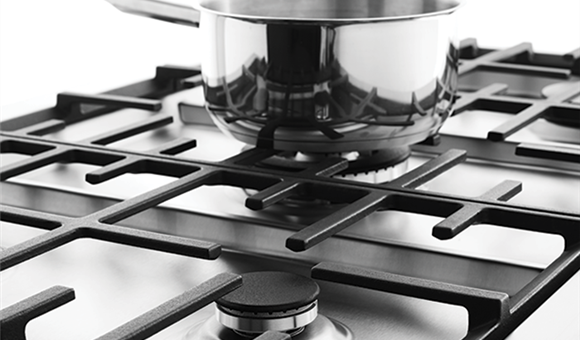 The unit is ergonomically designed and has plenty of space on the cooktop to accommodate multiple saucepans. The cooker is easy to use and and well backed-up by Westinghouse Australian service warranty. Rated 5 out of 5 by dnje1955 from Excellent product and great customer service. I bought this cook top and it was delivered mid-August. On opening the packing, I found that the tape holding the gas diffuses in place had detached and the diffuses had been floating over the cook top resulting in scratches on the cook top surface. I call Appliancesonline and explained the problem and, without hesitation, a new, non-scratched unit was dispatched and arrived the very next day! That's what I call excellent customer service!! The top has been installed and works a treat!! Rated 1 out of 5 by Waznme from Adjustment Bought this November 2016 for our new house. We moved in May 2017 and my wife is not happy with the stove top as the burners won't simmer and the wok burner won't get hot enough. Contacted the builder and he says the gas fitter did his job and it is a Westinghouse problem. Don't know where to turn to right now. Rated 4 out of 5 by KJ05 from Great Features I bought the WHG956SA 90cm cooktop last month and I love the features. Specifically the FamilySafe (TM) trivets, easy ignite under knob ignition and FamilySafe (TM) flame failure device. Also the front controls are safer than side controls.